that's odd. I thought that the thread title, the animated gif, and the link were self explanatory. I wonder if that lost point is going to come back to haunt us? Now we just have to beat those pesky Swedes, Spam and the rout will be complete! 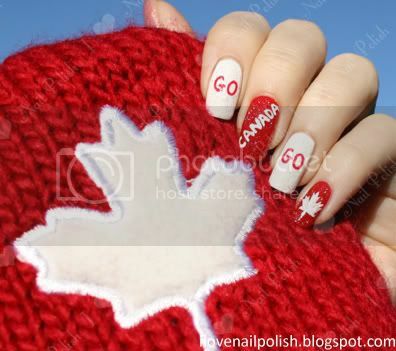 GO CANADA, GO! I hope you will be able to defend your title. What tournament is on now? 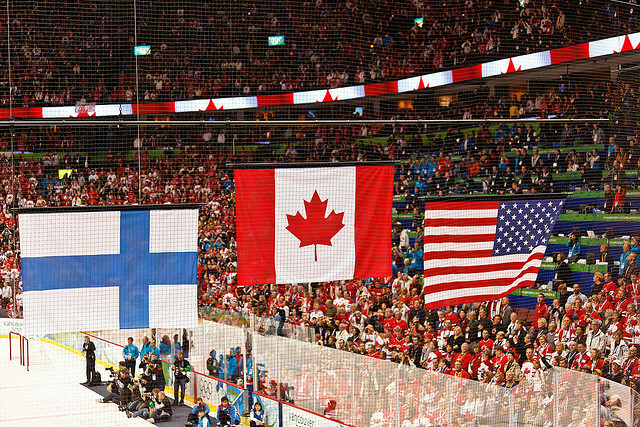 Canada vs Finland Quarter-final about to get underway. Sure hope the guys can overcome the jinx that has kept them out of the semi's for awhile now. Tough loss for the US against the Czechs today. The five minute major against Justin Abdelkader that got the Czech's two goals was a real killer for the team but they tried hard to battle back. The IIHF World Hockey Tournament. Oh, oh........Canada has to stay OUT of the PB.........the Fins just got one on a PP. 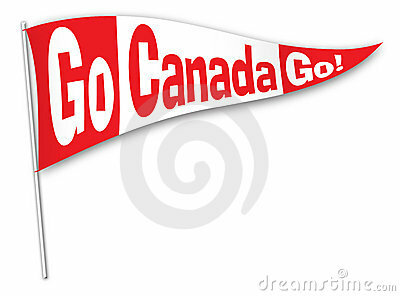 YEEHAW................WE'RE ON THE BOARD...........tied 1 -1 in the second P. Rock on Canada! but that is dangerous for canada in a tie game. Team Canada got sloppy and Finland tied the game up and then scored the winner. Canada is out for this year. it would have been interesting to see if Canada had gotten those 4 lost points if it would have changed the outcome. good luck to finland, they play the cheks in the semi finals. Seems that the curse of the quarter-finals still blights the fortunes of our team - no matter who is on the roster. Had a bad feeling as soon as I saw the TO. Darn it. So both North American teams are homeward bound - maybe there is some consolation in that - then again maybe not. good game, they have a very strong team representing canada this year. amazing, and we'll get to see kovalchuk again, he's been gone from the nhl for two years. taking the attention for himself, it is obvious. so much, they didn't have the energy to find much in offense at all. What is this ice hockey they speak of? How does it differ from hockey?